This 4K digital HDR Projector offers cinema-like images, true-to-life colour reproduction and PureMotion frame-interpolation processing. Optoma UHZ65 4K HDR Projector is built for home cinema rooms providing unrivalled 4K digital theatre-quality images. The projector benefits from laser technology for accurate, true-to-life colour reproduction with 80% of DCI-P3 coverage allowing you to experience the big screen in the comfort of your own home. Optoma Laser projectors utilse highly sophisticated lasers to create a top class projection. In the majority of situations, the brightness from a laser illuminated projector are percieved to be double that of an equivalent lamp style model. They are very efficient maintaining a consistent brightness, with superior colour representation, an instant on-off control and an amazing longevity of up to 20,000 hours. With in excess of eight million pixels, Ultra HD 4K resolution gives the viewer four times more detail than Full HD, which delivers sharper, life-like images and rich deep colours. The beauty of 4K resolution is that it allows you view the screen at closer distances and consequently a more enjoyable immersive experience. The UHZ65 has the capacity of displaying and receiving HDR metadata, allowing you to see far more detail and texture. With 4K definition, viewing your films are watched as if your were looking through a window, the objects on the screen look solid and lifelike, with the detail which increases the percept of depth. Watch your films, TV series and play computer/console games with stunning deep colours in any environment. 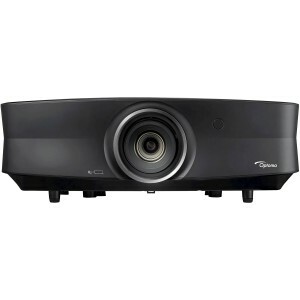 All the Optoma projectors have been designed to give reliable performances, irrespective of the media or environment. These projectors are capable of accurately reproducing HDTV standard colour (Rec.709 colour gamut), guaranteeing accurate reproduction of cinematic colour. The projector can easily produce highly saturated colours, which are common when viewing games or animations. Installation is very simplistic and easy due to the inclusion of lens shift, in the vertical dimension, which increases the possibilities of projector placement. Therefore, the vertical lens shift makes it easier to position the projector in your room and enables a wider range of screen size options. 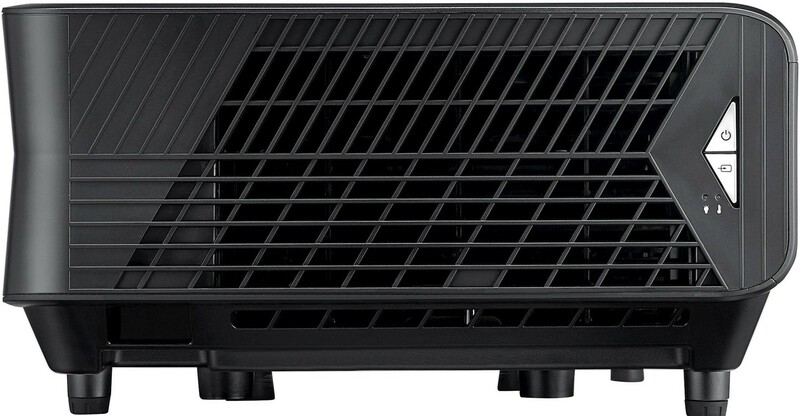 This projector eliminates motion blurring and image judder, even with high-speed action sequences by utilising frame-interpolation technology, and advanced motion processing control. The UHZ65 4K HDR technology ensures the visual information of an image is correctly reproduced, crystal clear, pin-sharp pictures. 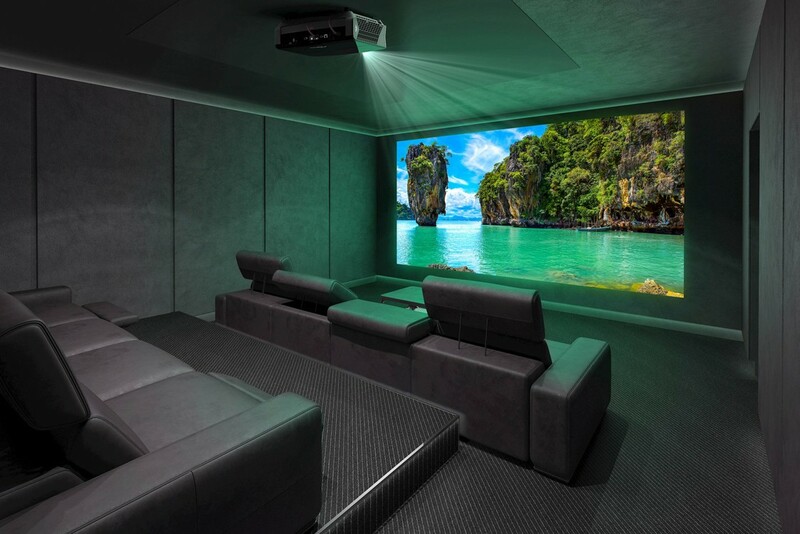 The colours produced by this projector are amazingly life-like perfect for your home theatre environment. This unique feature provides you with the flexibility to fine-tune the colour settings to the Rec. 709 standard for optimal precision. 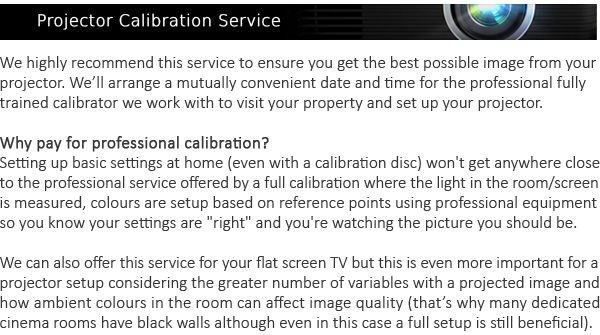 The ISF mode allows you to save your calibrated preset for day or night mode, for the most versatile viewing experience. The majority of films are shot with a 24 frames per second (fps) frame rate. To preserve the purity of the original image, Optoma projectors can accept high definition 24 fps sources displaying films exactly as they were originally intended to be displayed. Further versatility is from the ability to use the USB-A port to power an HDMI dongle, such as Google Chromecast.